Technical ceramics are one of the most fast-growing fields of the industry. 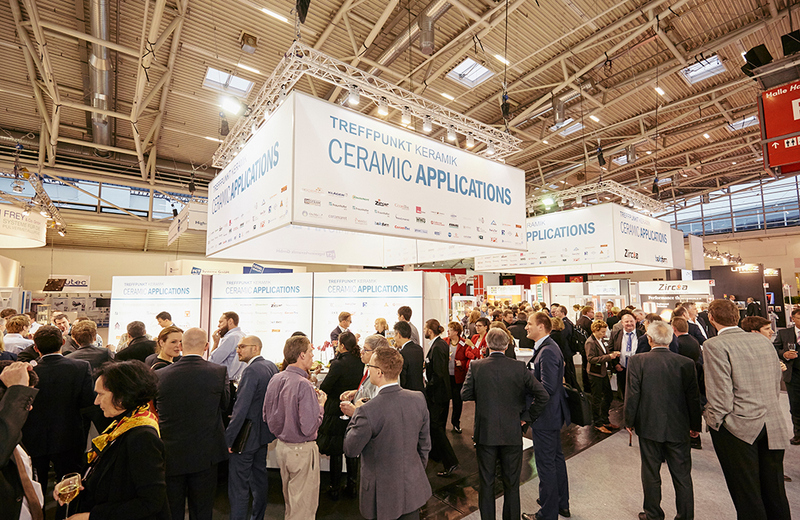 This development will be reflected at ceramitec 2018: up to now, 20 percent more exhibitors from this segment have signed up for the trade show. The opportunities that will arise from this for the worldwide ceramics industry will be displayed at ceramitec from April 10 to 13, 2018. The fact that the application field of Technical ceramics is gaining in importance can be seen from the increase in the space occupied by the "CERAMIC APPLICATIONS—Ceramics Meeting Place", which has nearly doubled. In 2018, national and international ceramics manufacturers will occupy nearly 1,000 square meters of space. Well-known exhibitors, such as Lithoz, Morgan Advanced Materials, SCeram, Schunk Ingenieurkeramik or WZR ceramic solutions, have already signed up. In addition, new exhibitors like Robert Bosch Start-up from Germany, XJet from Israel or Toto from Japan will be represented. Thus, the key trade show is the central platform for introducing new products and developments from mechanical engineering as well as products and components from Technical ceramics. Further development leads to new demands placed on Technical ceramics. New manufacturing technologies in operational practice and hybrid technologies in component design, inter alia, find their way into high-performance ceramics—key word: additive manufacturing plus ceramic injection molding. / AM +CIM. In the area of kiln construction, too, special systems must be designed owing to the necessary temperatures and atmospheres, mostly for temperatures between 1,500 and 1,800 degrees—for specific materials even beyond 2,000 degrees. The topics of energy and resource efficiency also play an important role. The reduction of energy requirements (high process temperatures), material efficiency and environmentally sound process technology are in the focus. Highest precision and “zero defects” in the structure are requirements that also initiate a development towards Industry 4.0, because in-line measurements, analyses and adjustments must be performed to an increasing extent in order to be able to reach these objectives. In the area of sensor technology, piezo-ceramics play an important role and thus make an additional contribution to the further development of production technology in the sense of Industry 4.0. It is not only at the trade show that visitors and all those interested can gather information about the topic of high-performance ceramics. The conference program, too, dedicates an entire day to the topic of Technical ceramics. This will be on Thursday, April 12. The “Day of Technical Ceramics” is subdivided into four sessions with different focus areas: “New Materials for Ceramic Components with Enhanced Performance”, “Design of Ceramic Components for New Applications”, “Ceramic Components for Harsh Working Environment” and “Technology Enhancement for New Applications”. Well-known speakers will present innovations and solutions, and discuss the future perspectives of Technical ceramics. Further information on the details of the program will follow in a few weeks on the homepage of ceramitec.